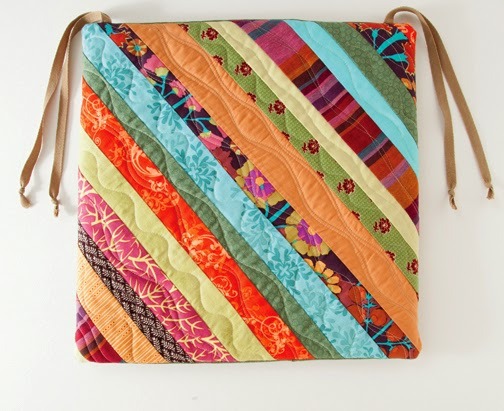 A Few Scraps: First Steps to Free-Motion Quilting: Giveaway! When I learned free-motion quilting I was excited. Amped up. But I looked at the quilt I had to finish and I knew I couldn’t jump right in and free-motion on it. It was so pretty. It had taken me so long. No way. So I made a little quilt to practice on first. I wanted something quick but not something boring. I made up my own pattern that was quick-ish (but not really that quick because I overthink everything and I have a teeny-scrap improv fetish.) Anyway, I quilted that thing. It wasn’t great…because it just never is when you start fmq. Gotta connect all the right neurons, get your coordination down. Here's a picture. Does it look like your first FMQ attempt? After that I quilted one more little quilt, and then I was ready to quilt the big one. And it was great! I was hooked and I felt ready to quilt all the quilts that came after that. Here, years later, I still have both those practice quilts. So when it hit me that yes, I should write a beginning FMQ book, I thought of that girl, in her apartment, with a box of her grandma’s scraps and a Joann fabric a bus ride away. That new quilter with her little notebook of quilting designs she saw on other people’s quilts. I’ll write a book for her, I thought. It will have the basics. But not too much info. Nothing about metallic threads or fancy quilt show stuff. Only what she needs to jump in. It will have quilting designs, and it will have practice projects. Projects she can whip up quickly to practice just as much as she needs and then get back to her own creations. And that’s what I wrote. I warned her against using dark threads on light fabrics. I gave her a troubleshooting guide so she wouldn’t pull her hair out when the machine started skipping stitches. I told her it didn't have to be perfect. I showed her good stitching, not amazing stitching. I put in everything she needed and nothing she didn’t. And I’m happy with it. I’m happy with it! And I’m happy to share it with you. So here is the end of the book/blog tour and a final drawing! I’ll pick a random commenter and send them a little package of FMQ love. The book, some needles and thread and gloves to get started, and other sewing room randomness. Thanks everyone for sharing my excitement about this book and for loving quilting as much as I do. To enter the drawing just leave a comment telling me something that made you happy this week. I’ll pick a winner October 11. The giveaway is over! Look like a perfect book! I need to tackle FMQ. I'm really excited about this book. I have only tried to FMQ a few times. I cleaning my sewing/play room today - that makes me happy :) Thanks. I'm dying to get my hands on this book. I gotta have a copy as I am the perfect description of that girl who needs the basics, who really wants to jump in but can't quite take the plunge. This sounds like it was written with me in mind. I an happy because we got some much needed rain, and that my small dolly quilt projects are going well and I'm getting ideas for others. This book would be a big help to me. This book is on my wish list for sure! Looks great! I'm happy I rolled over 1000 km on my bike this week - squeezed in a couple rides between the rain! I think I need this book so I can learn FMQ. Looks so good. What a great idea, it doesn't have to be perfect just done! I keep putting starting off because I don't have the confidence to start but I realize we all have to start somewhere so this book would be great to win. what made me happy this week? Making my husband laugh deeply! Would love that book especially since the draw date is my birthday! I am happy because I made a good looking pillow for my new couch. I just quilted it with straight lines, though, so I really need a little FMQ boost! HELLO, THE GOLDEN SUN ON GOLDEN ASPEN LEAVES ARE SO BEAUTIFUL IN AUTUMN! THANKS FOR A NEAT BLOG+GIVEAWAY TOO! my family makes me so happy! thanks for the giveaway! you make machine quilting look like fun! Thanks for the tutorials on your blog and the book sounds great! My DD's wedding dress came in and it fits! This week I got up early on my day off and went and picked my friend and took her to work and picked up my daughter in law at the airport for a quick visit before her meeting at work. Christina thank you for the chance. I finally made a pillowcase for my grandaughter as a stocking stuffer this week. It was my first one and it came out good! Christina, Your book looks wonderful! I meet with my mini bee this week 5 of us get together and quilt, laugh have lunch. That is a good week any week. I'd love to win your book and collection of FMQ goodness. The thing that made me happy today was playing with a new jelly roll and coming up with a design that's all my own and works nicely with the motifs on the fabrics. Can't wait to start quilting on it. I'm making blocks for a swap- 'twin' blocks are fun and they made me smile! Thanks for the giveaway. This book is on my 'must have' list! Spending a whole day sewing with a friend certainly made me happy! I'm always happy when I see a new photo of any of my grandkids pop up on Facebook. They live so far away and I don't get to see them in real life near often enough. Hoping I'll be happy to see your book in my mailbox! My daughter's laugh made me happy this week. OK, I know, it's something 'usual' since it happends each day. But this week I had cold and I really needed her laugh. I don't do fmq at all. I tried once on a practice piece (just one small piece of fabric, batting and backing). So it would be great to win the book:) and find the courage to try fmq. Something that made me happy this week was scoring a unicorn bike helmet for my daughter at a local consignment sale. Safe, and adorable! I finished a surprise gift for an unsuspecting friend. I used the Moda Bakeshop pattern with charm squares on the front and flannel on the back. It will be sent with a handwritten note telling her she is loved. I love that you gave the beginner a book to start with. What makes me happy is to give a loved homemade gift! This is such a wonderful book - I'd love to win a copy to give away to one of my church sewing peeps! Lots of things made me happy this week - 50 quilts finished to send on a mission trip to Rogersville, TN next week; my youngest granddaughter (18 months old) cried when I tried to leave her house yesterday - she wanted her nana to stay! ; and my sister is visiting with her fiance - our first time meeting him and he's nice! This weekend I went to my local quilt show and I was very happy wandering around looking at the quilts on display. The one that brought a smile to my face was of large, bright happy flowers and one of the few quilted brilliantly but not perfectly on a domestic machine. Thanks for the inspiration to start FMQ. A great giveaway - thanks for the opportunity! Never too late to learn how to do this properly. Seeing my maples getting their lovely spring leaves in the garden has made me smile this week! I love FMQ. I especially love the swirls you did on the little blue patch sample. Thanks for the chance to win. I quilted a fall table cloth this week. I should have it finished by Friday. It makes me happy because there is a lot of raw-edge applique pumpkins, acorns, and oak leaves on it. I especially smile at the little dark green FMQ swirls coming off of the pumpkins. Squeal! I made a little tiny quilt this week. As you know, I have the book so don't enter me. I love what you said here. We don't all want to make show quilts. We want to make quilts that look good, but still let folks see it is handmade. I have to say, I break that "don't use dark thread on light fabric" rule. But only after a lot of practicing. And I am "edgy" that way. Thanks for writing a great book that will inspire a lot of quilters. Something that made me happy this week was finding a dress to wear to my daughter's best friends wedding. Having a wonderful husband made me happy this week! thanks for thinking of that girl -- because that was me too! thanks for the chance. I just ordered the book, but would love to win one for my friend. Watching a first time grandmother's face light up when I gave her a "grandma's" baby quilt. This week - seeing my son jump into the pool - just so much joy there! Friday afternoon was a happy time of the week for me. A friend and I were quilting together and talking about things we have seen on the internet including your book! I shared about your book with the local quilt shop and they want to carry it! That makes me happy. I'd love to win a copy and dive into the projects. The book looks so awesome! What a great source of inspiration. I was happy that a friend of ours will not be deployed overseas. We were all hoping the family would be able to stay together. Thanks! I have been building my kids a cubby house (playhouse) in the garden this week. It is the just the kind of thing i would have loved as a child and it makes me happy to know that i am able to help create magical childhood memories foe them. Your book is inspiring - the hints and snippets from the blog hop really make me want to buy your book... if I don't win one! As for happiness this week, I found it in hanging out with my mother and sister. We visited a cemetery, paying respect to an old friend, had dessert, and then went shopping. My sis and I even bought matching shirts. It was a great day. I have loved this tour and your book is definitely on my to get list. Just this evening we had a family dinner with my husband's parents, us, our oldest and youngest daughter, my oldest's husband and their new baby. It was definitely a joy to have four generations together. I want this book so much! I've been quilting for just about a year now and have fallen in love. This summer I got a fancy machine from my in-laws and have started to try my hand at fmq and it has been a (mostly) fun adventure. From your description of your book it seems to be written for someone exactly where I'm at, just learning, sometimes frustrated, wanting to practice and make beautiful things for my family. This week has been a week of celebration and my favourite moments of joy have centred around family too. My husband and I celebrated 5 years together and 4 years of marriage, and we celebrated our son's 2nd birthday all amidst the kicks and rolls of a new baby waiting to be born in just a few weeks. When I look at my life I feel so blessed and happy. happy that she's home safe and sound. Watching my 2 yr. old grandson jump off the diving board with a blow up toy around his waist! Getting to quilt with my friends today. Thanks for the great giveaway. This looks like a great book--thanks for writing it, and giving us a chance to win. This week I was happy to return home after a stressful trip. I've missed my sewing room. Happiness is a freshly painted living room and new blinds!!!!! Needed the old wallpaper off for a very long time. Fresh! Walking in sunshine makes me happy! I was working on a quilt with over 200 triangle in a square blocks-ugh, those points are so tough. Anyway, the blocks are coming out SO perfect, that made me so happy! I want this book. Everything I have read says I need this book. Thanks for the giveaway. Love FMQ and would love to win the book! I would love this. 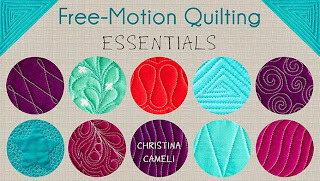 I haven't tried free motion quilting yet. Crossing my fingers that I can win your book. If not, I'm definitely buying it! This week I'm happy I successfully completed fabric basket for a baby shower gift next weekend. Sounds like a great resource to me! So are all the wonderful quilting ideas I'm getting from perusing quilt-related pins on Pinterest, which is where I found YOU! This book is on my Christmas wish list! I hope I get it then if I don't win it now...I want to make the move from straight line to FMQ! I'm so excited by your new book! The small-project approach seems like a fantastic idea! After standing in downpours watching two soccer games in Portland last weekend, having the sun out today made me VERY HAPPY! The arms of my 5 year old granddaughter around my neck when she thanked me for the new quilt I made her. I'm from Sweden and I love your free motion quilting. What makes med happy this week (and every week) is that I have lost 130 lbs in one year. That would be fantastic to overcome the FMQ angst! This book sounds fantastic! Something that made me happy this week was getting time to put together a quilt top. I was instantly happy when our last box was unpacked so I could get back into my crafts and finish a baby quilt for a friend. What a nice gift goodie and what a thoughtful book. It sounds just perfect for me and I must check it out! My daughters smile made me happy. She is 4 1/2 years old and her little laugh and her smile just light up her whole face and makes her eyes twinkle. It still stops me in my tracks and makes me happy. Loving the look of this book :-) Something that made me happy this week - my kids playing nicely together! I'm happy to be spending the weekend with 2 of my sisters. We skyped with my 3rd sister last night. We live in 4 different states & try to get together twice a year. Thanks for the chance to win your great new book. Oh, I love how you describe your own book! Happiness this week: my daughter re-wrote the 3 little pig as her own poem, I received a custom sewing machine cover with "Swedish Scrapper" on it from a super swap partner, and I got back to the sewing room! Congratulations again. I can't wait to get my hands on my own copy. That girl in her apartment with Nana's scraps is an inspiration to us all! Your first book (second one please?) is just lovely and I'm so excited to hear that it's #1 on the best seller of quilt books! I'm entering for a good friend, Jo, who's just made her very first quilt! I think she'd love the book (seeing as I've already got my own signed copy)! What a really neat blog post! I'm so happy that you wrote the book, and even more happy that you are so happy about it! Congratulations! Congratulations on your book. I am just getting geared up to do fmq and need all the help I can get. I am keeping my fingers crossed that the fmq fairy will be good to me. Congratulations again. This week the birth of my niece's baby has made me happy - a little girl! What made me happy is this is my weekend off work and I get to stay at home and quilt! Your book was written for me - I have the free motion quilting foot now I just have to use it! Thanks for the give away! Awhile back, I read how one quilter takes a few days and cuts out several projects, essentially making her own kits. I spent this weekend cutting out 2 bags and 5 quilts. They are all stacked with the pattern, just waiting.......that makes me happy! I was happy to finish one of my Project Linus quilts this week! You make it all seem do-able (is that even a word?). I think this will be my New Years Resolution for 2014!! This book sounds great! I want to FMQ but I am so nervous about doing it on my quilt tops. This week I went to my first quilt show. I attended AQS Quilt Week in Des Moines. It was great! I made bibs and burp rags for my 3 months old grandson and spent the weekend with him! I've been reading what the other bloggers have posted & one had a photo of tips from the book that stated "it will look better after it is washed". Suddenly, I realized that was a true statement & I became more confident to try fmq. That made me hopeful & happy. I got to spend time sewing with friends from the PMQG at Modern Domestic on Saturday! I have just started quilting at the ripe age of 59....I guess I decided to follow in my grandmother's footsteps. FMQ looks like so much fun. I am so excited to see this book! Thanks for writing it! I got a table runner made for a fundraiser this week - a "Pretty in Pink" party and it was a very popular raffle item! I also got a couple of bushels of apples to play with, FREE! Free apples are always good, even if I've only got through about half of them so far! I'd love to win this book, it's become a must have item through the blog tour and all the fantastic critiques of it! Thank you!!! *One thing that made me happy this week was pulling orange fabric from my stash. I'm going to make some Halloween mug rugs or coasters! I can't wait to get your book! You were an awesome teacher! I am happy that I completed my Funky Chickens quilt top today! 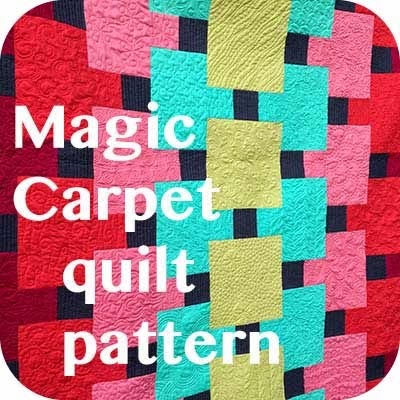 Would love to get tips on FMQ. Have done much with the feeder foot, but not FMQ yet. Your enthusiasm excites me. Such a huge accomplishment! One to be proud of. Our fall weather here in atlantic Can is enough to make anyone happy. I'm happy because my visit to a best pal is this week & we're going to a quilt show together. We have a quilting projects show and tell too. Good times. I am happy because my friend (and sewing client) paid me more than I asked for altering a bunch of clothes for her and she was real happy with my work. I love when people recognize and value good craftsmanship. I went to go to a big quilt show yesterday. I got to go shopping and look at some really great quilts. That always makes me happy. congratulations on your awesome book - and thanks for thinking of the beginner fmqers! 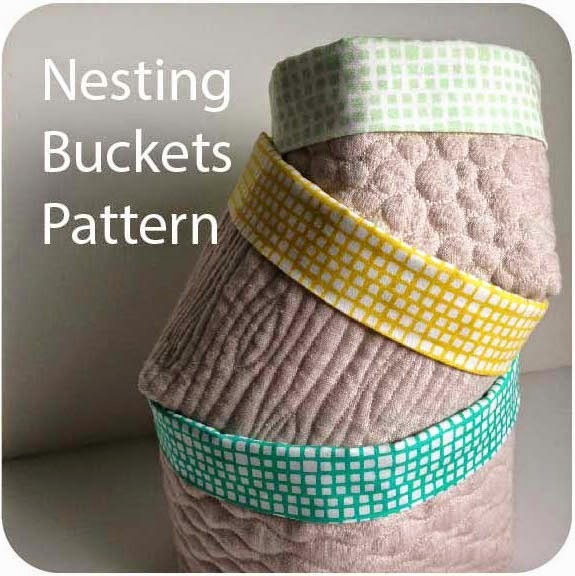 Your blog is encouraging me to give fmq a try, I've always been so intimidated by it! I'm happy that I jumped in and got 2 out of the 3 things for bees and other commitments done already instead of my usual end of the month finish. Now if I could just quilt my tops. This is what made me happy this week while I had a nasty head cold. My daughter took a ride to my hometown area to pick up some pumpkins for herself and she brought back a couple bunches of concord grapes for me because she remembered my story of how just the smell of them on the vine would make me long for grape juice! I ate one whole bunch while standing in the kitchen thanking her!! Yum! We all start somewhere. Sooooooooo thankful for my quilty mentors. Our guilds quilt show was a smashing success. This made me very happy as our hard work paid off. So for this week happiness is a quilt show. Congrats on the book, I'm so happy for you! Your class at the PNW Meetup was awesome and I've practiced a little more since then but would love a copy of your book to keep the ideas flowing. Congrats on this wonderful book and the chance to win a copy! finish a quilt top this week. I'm a third of the way through making quilted xmas gifts for family and that is making mw very happy with my progress! Would cherish this book so thanks for the chance to win it and congrats again! I have been following the blog hop and your book looks amazing. I was excited to finish a few little gifts to send to my granddaughter, a tooth bear and a BOO bed scarf. She was thrilled :0) and that made me very Happy. Thanks for a chance to win your book and hopefully my FMQ will be more than straight lines with my quilting foot. Ok, I have two things! I am working on a secret quilt for a fabric company (never done that before), so that is my quilty thing and my 8 1/2 month granddaughter stayed with us this weekend (she has such a sweet personality, makes us all happy! She sings to herself, so awesome! Now, everything about your book I have read is amazing! I have tried to enter all the giveaways to win one. I would really love to FMQ this quilt but honestly I am afraid. I have other books but most seem to complicated. I am that woman you wrote the book for so thank you very much for sharing your knowledge. It is on my one day list! Thank you for the book tour too! I went through and saw all my wonderful fabrics and contemplated what quilts I could make with them! I'm sure your book is awesome. My teenage (note the word teenage) gave me a big hug and told me that she loved me. So lovely! Helping my daughter sew her first ever quilt square! That is what made me happy. Something that made me happy this week: I finished a pieced back and now have another former WIP ready to be quilted! Thanks for the chance to win. I can't wait to see your book in real life. Thanks! My family made me exhausted and happy this week searching for the biggest pumpkin in the patch. Spending Sunday with my hubby getting things done around the house made me happy this week. What a feeling of accomplishment. That and just time together. I love FMQ and am always looking for simple designs. I was very happy with my progress quilting on a trapunto project. I like the look I am able to achieve. Thanks for sharing. I'm enjoying seeing all the different FMQ projects out there! Something that made me happy this week: funny conversations with my two year old. I am trying to learn FMQ so this would be the perfect win! I found out this week that my hubby may not get laid off at his work so that was great news and made me very happy! It's my birthday week. Although the years are far greater than I care to think about, I'm quite happy. This is so exciting! If I don't win, I will certainly buy it from Amazon! And one for my friend in Denver, who just started on this exciting quilting journey!! I have been wanting to learn FMQ for a while now....you make it seem so do-able! 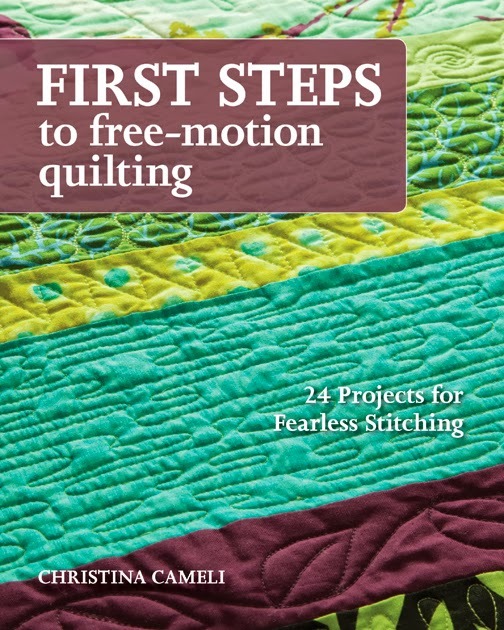 Thank you for your book for beginning free motion quilting. It looks wonderful and would be a great asset and encouragement. Thanks for the giveaway. Getting a great compliment at work made me happy! Thanks for the giveaway. It's just what I need! PS. The Pumpkin Hazelnut Pasta sounds delicious. Do you share your receipt? If so, I'd love to have it. KarenLynn53@gmail.com. I watched my Mom hand quilt for years. I loved the fabric but had no desire to make quilts because I don't like hand quilting. Then I discovered that I could use my Domesic machine to quilt! I'm hooked! New to Free Motion and any suggestions are appreciated! I am so excited about this book and would love to use it to learn how to FMQ! What made me happy this week was getting to celebrate the recent engagement of a couple of our good friends! I am just getting into free motion quilting; this book would be a great help. I'm happy to say I have a quilt top just WAITING for some hints on how to make the FMQ thing go more smoothly. I love the idea behind your book! Little actual project to quilt, not wasted "quilt sandwiches". Thank you and I hope sales are great! I'm happy that I finally finished 3 quilts for donations, including one that has been a UFO for over 2 years. I mailed them today to Bumble Beans collection for the Retreat. Our friends showed up and reinstalled the toilet that we were (correctly it turns out) afraid to turn on the water to. Happy hall bathroom redo finished! I'm babysitting my youngest granddaughter this week and that makes me happy. Thanks for the chance to win. I felt way intimidated and like a failure after my first full fmq quilt this summer and locked up my sewing room for the last 5 months. I am happy to say this evening I said get over it Christmas is coming and I have unfinished projects. It made me happy to realize my family loves my gift not because it's perfect or ugly but that it's from my heart. I looked through that book the other day at a friends house, it is a wonderful guide to machine quilting on a regular machine. I plan on getting one! Congratulations!! This look a great book. This week has seen the birth of my great niece - Isabella! Oh my, what has me happy this week? The cool mornings! Here in the south warm weather just hangs on even though the calendar says it's fall :O) I know fall is in the air each morning as I walk up to the hen house; I so love fall weather, pumpkin bread baking in the oven and soup simmering on the stove while cheese rolls are baking in the oven. 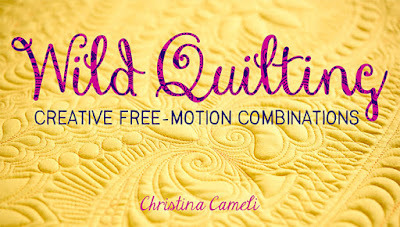 Your Free Motion Quilting is a great idea. I taught myself a little by reading blogs and watching you tube videos; but I still have much to learn. My very first quilt is waiting to be quilted right now. 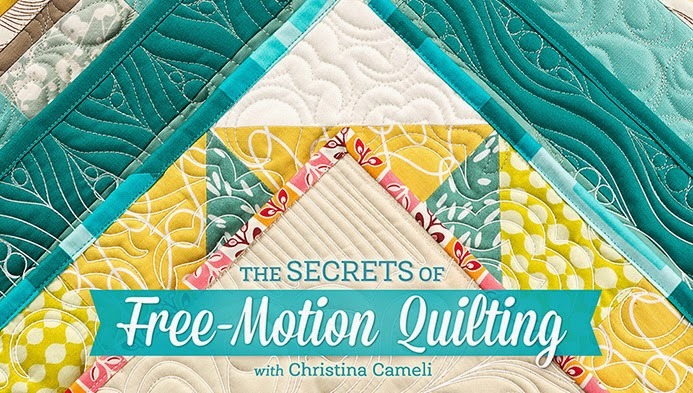 I'd love to learn how to do free motion quilting. I ordered the book for my friend for her BD. It looks like a great book and it made me happy! I am a mediocre FMQ-er and hoping to get better. Thanks for the great book and for the giveaway. Last night it was cold so I threw some extra quilts that I've made on the bed and was cozy and warm (but my nose was cold). It always wake up happy after sleeping under my quilts on a cold night. BRRRRR! Bring on the cold! That's easy. I got to sew this week - enough that I even finished a project, a small project, but still. AND I joined a quilt guild and meet quilters my age - in person. It has been an amazing week! so happy this week that it's fall, that i am full up from a lovely weekend with my sister and her kids... that the sky is blue today and the weather cool. early release for my kids means some reading out loud today. your book looks so great... full of great ideas. me... i'm stuck on stippling! So happy to see a photo of my Grandfather, who turns 101 years old next week with my sister's new puppy, just 3 months old. Amazing!! I won some tickets to a concert this morning and I finished a puzzle so double fun for me today. what made me happy....my funny husband, my hilarious kids, the smell of bread baking in the oven (and of course eating a piece slathered with butter), and new fabric for a quilt that will arrive via ups tomorrow. yep, very happy! Especially HAPPY (I Jumpin up & down!! )...to have just finished 33 days Of Radiation treatments!!! This week is my first not goin to hospital daily!! YAY!!! I spent a four day weekend at a retreat on Lake Tahoe. It was glorious. Now I'm ready for rain and cooler temps so I can stay inside and sew and knit. My fingers are crossed extra right for this! I just tried FMQing for the first time last week! I've only ever been a straight line quilter. I'm so excited to learn FMQing and this book would be perfect!!! The best part of my past week was celebrating my husband's 32nd birthday with our 3 awesome kids. Happy to see the sun today and allowing myself to work on the design of the third item for my City & Guilds course!! Something that made me very, very happy was talking to a friend and getting some really good advice about something I was dealing with. What she said to me really helped me to look at the situation differently, and to not be so hard on myself. Whew! Maybe more than you wanted! All the happy birthday wishes I received from friends and family today!!! it made me happy that a little disabled girl in my class came back to school on Monday after being off for a whole week! YAY! Sewing makes me happy everyday and it also relaxes me and helps me get through the day :) Thank you for an amazing blog, it's full of great ideas and inspiration. I'm happy that i finished a crib quilt for my new niece/nephew due any minute now! I am terrified to try FMQ. It looks so complicated and daunting. I want to try it, but the thought just doesn't make it though into practice. Perhaps it's my machine, or me, or me learning about my machine better. Anything to help learn is a blessing! Thank you for writing this book! I'm happy that I actually finished a quilt in 3 weeks! That's a new record for me. I am happy because I actually accomplished everything on my to do list today! Sitting outside yesterday enjoying the warm sunny day and fall foliage while visiting with friends...may be the last day for this type of activity here in the northeast. My dog kissed my ankle yesterday when I left for work--made me smile all day! I just discovered your blog and look forward to reading your book! 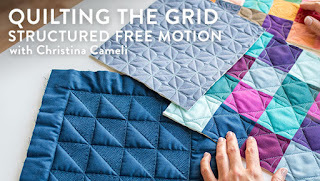 I have not free motion quilted one quilt yet, but I'm so anxious to try! This book looks perfect! Oh I hope I'm not too late...I drew up some templates for a friend's quilt block design and it made me and her happy! I can't wait to read your book! I was just introduced to this site by a friend and I like your approach! I'm 64 years old and have been quilting only about a year since my retirement from a being a silversmith for 25 years. I love everything about textiles, and I really want to create unique textures with free motion quilting. I'm having so much fun learning and experimenting! Thanks for the inspiration!